ATTENTION! MINIMUM TERM OF ORDER FROM 3 DAYS! 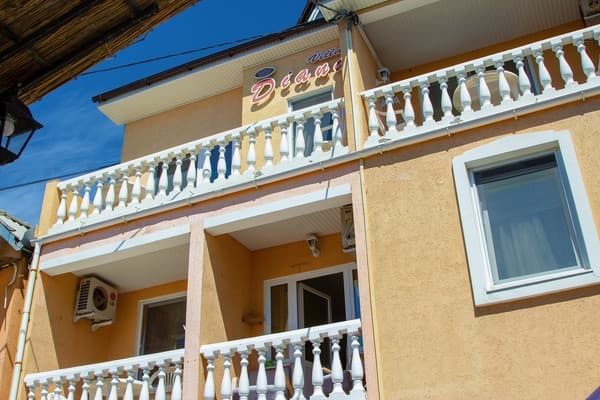 Hotel "Villa Diana" is located in the resort village of Zatoka, 50 meters from the sea. 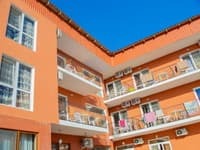 It offers a cozy hotel with free parking in the courtyard and free Wi-Fi. 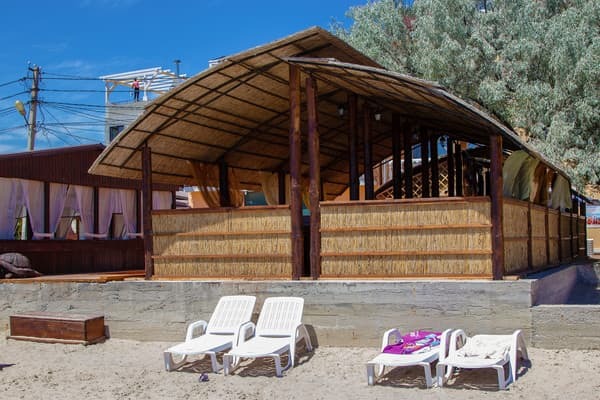 All rooms are equipped with a refrigerator, air conditioning and a private bathroom with 24-hour water supply. Other amenities include a TV and cable TV in every room. Some rooms have balconies. There is a cafe and a brazier on site. 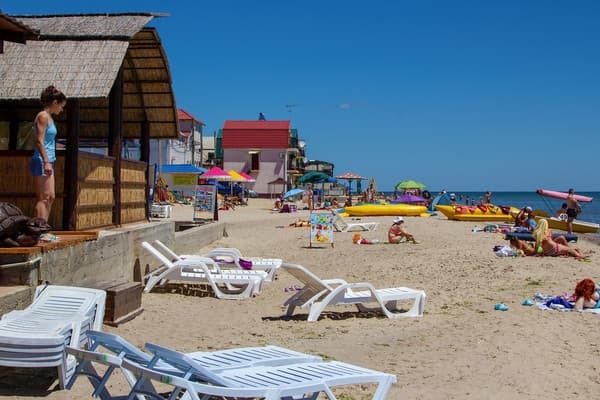 "Villa Diana" is located near a sandy beach, 45 km from Odessa. On request, guests can book a shuttle service. PRICES MAY CHANGE, IT IS REQUIRED TO UPDATE INFORMATION FROM THE OPERATOR. 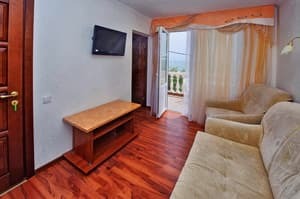 Description of the room: One room with double bed, equipped with balcony. Minimum order period from 3 days! 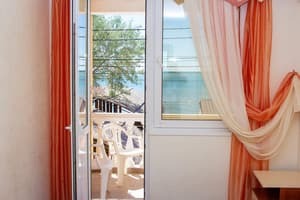 Description of the room: Double room with a balcony and a view of the courtyard, there is everything for a comfortable stay. 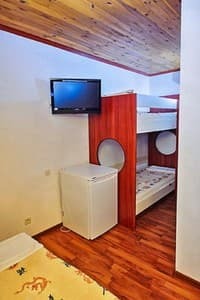 Description of the room: One-room standard with a double bed. Minimum order period from 3 days! Description of the room: One-room balcony. Sleeping places are provided in the form of a double bed and one bunk bed. Minimum order period from 3 days! 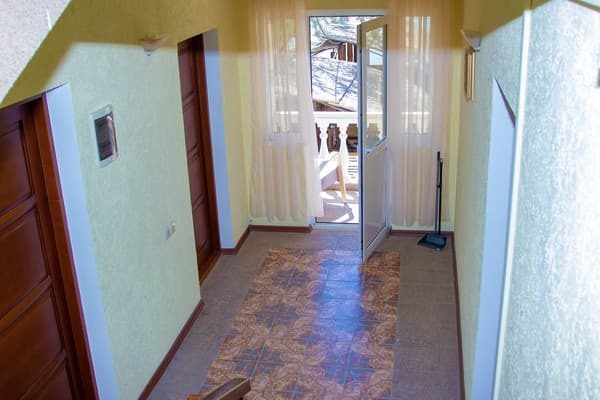 Description of the room: Two-room with the possibility of accommodation up to 5 people. The room consists of a living room with a set of unfolding upholstered furniture and a bedroom with a double bed and a work desk. The room has an outdoor terrace. Minimum order period from 3 days! Уехали с очень положительными эмоциями. Понравилось всё. Натали сделала всё для этого. Весь персонал молодцы 😁.По деньгам очень даже доступно. Спасибо за отдых 😎. понравилось все. Отличное отношение персонала к нам отдыхающим,Заказ по кухне девочки выполняли быстро и качественно,и что не мало важно вкусно .Всегда поддерживалась чистота,Расположение гостиницы прекрасное,засыпали под шум волн,Все хорошо! There is a cafe and a brazier on site. 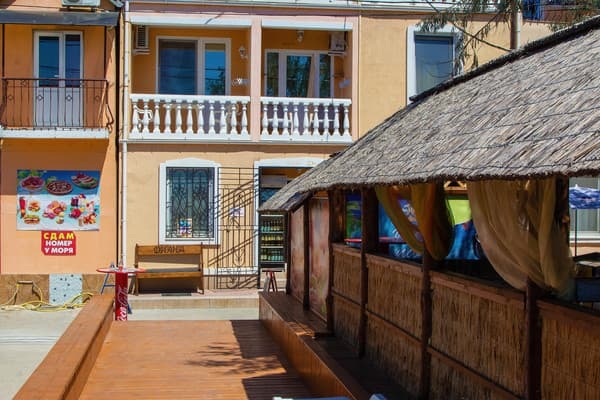 Hotel "Villa Diana" is located in the resort village of Zatoka, 50 meters from the sea, at a distance of 45 km from Odessa. From Odessa to the village of Zatoka - on a fixed-route taxi or an electric train. A shuttle service is available. The service is chargeable, requires prior approval upon booking.